Blowout Sale! 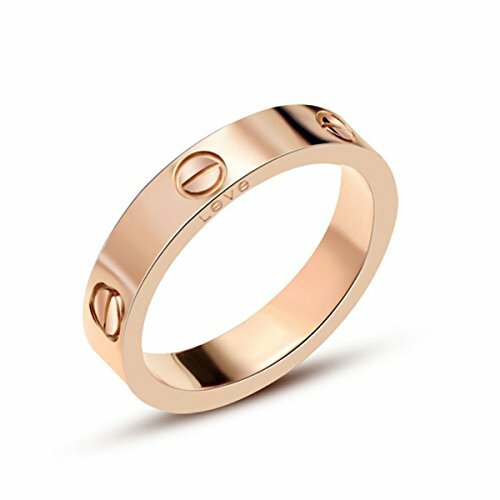 Save 57% on the BESTJEW Rose Gold Love Screw Ring Engagement Wedding Couples Band Titanium Stainless Steel Size 6 by BESTJEW at SCRHI. MPN: 6CRROSEG-US. Hurry! Limited time offer. Offer valid only while supplies last. Simple Appearance Design,Concise and Stylish,Catch More Eyes on You in The Crowd. Come with Delicate Gift Box.Already for Gift. If you have any questions about this product by BESTJEW, contact us by completing and submitting the form below. If you are looking for a specif part number, please include it with your message.